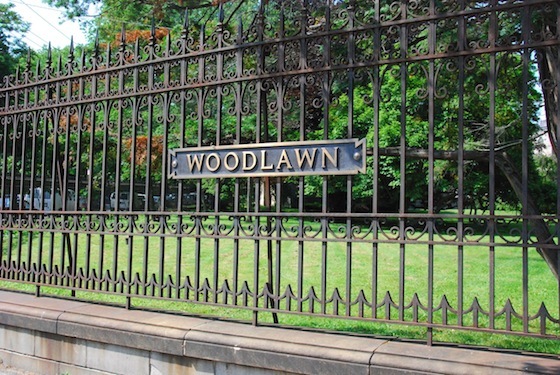 In the far northern reaches of the Bronx lies more than four hundred sprawling acres of grounds that make up the Woodlawn Cemetery. 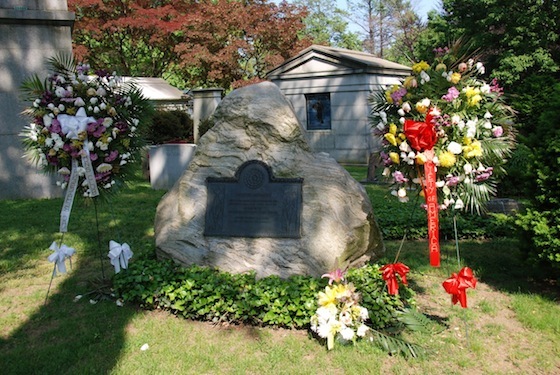 Interred among notable writers such as Herman Melville and Joseph Pulitzer, retail giants such as R.H. Macy and F.W. 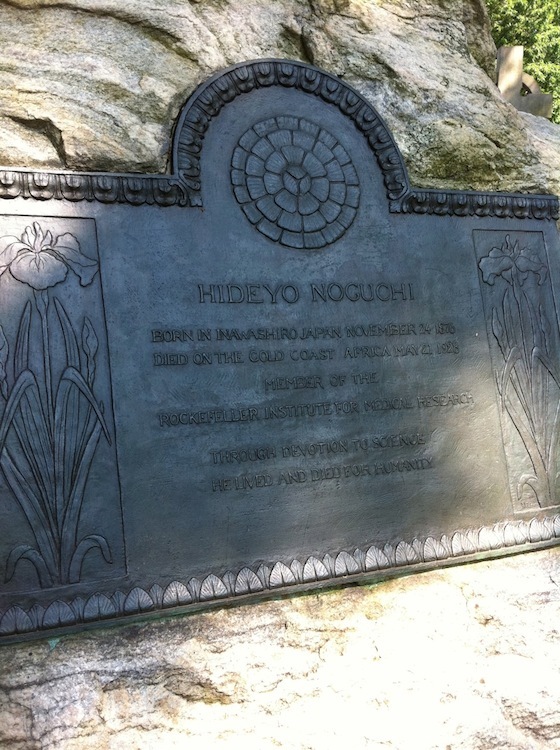 Woolworth, New York politicians such as Fiorello LaGuardia and Robert Moses, and musicians such as Duke Ellington and Miles Davis rests Hideyo Noguchi. Who? Hideyo Noguchi may not be a household name among New Yorkers, but the Japanese bacteriologist is well known in the world’s medical circles for making significant contributions to research. Born in 1876 in Inawashiro, Fukushima, Japan, Noguchi began dreaming of a career in medicine as a young boy. A severe burn on his left hand fused his fingers and required surgery, inspiring him to help others by becoming a doctor. He apprenticed with the same doctor who performed his surgery and passed med school exams at the age of twenty. But fearing Noguchi’s deformed hand would cause doubt and distress in patients, hospitals would not offer him a position. As a result, Noguchi chose a path in research instead of medical practice. He became a research assistant with Dr. Simon Flexner at the University of Pennsylvania in 1900. He would later join the staff at the Rockefeller Center of Medical Research (now Rockefeller University) in Manhattan’s Upper East Side. Noguchi’s work with syphilis led to his discovery of the cause of progressive paralytic disease in 1911. However, he was sued by some of the parents of the children on which he experimented because the children allegedly contracted syphilis after participating in his study. Despite this accusation, Noguchi remained dedicated to research. His extensive studies in syphilis, rabies, and yellow fever earned him multiple Noble Prize nominations in physiology and medicine. In addition to being awarded the Order of the Rising Sun, Gold and Silver Star by the Japanese government, Noguchi was given honorary doctorates from prestigious universities and organizations from around the world. Noguchi’s interest in finding a vaccine for yellow fever took him to Central America, South America, and, finally, to Ghana, where he contracted the disease he was trying to combat. Hideyo Noguchi died on May 21, 1928, of yellow fever in Accra, Ghana, at the age of 51. His body was sent back to New York and its final resting place at Woodlawn Cemetery. His wife, Mary, an American, has a marker in front of his tombstone. 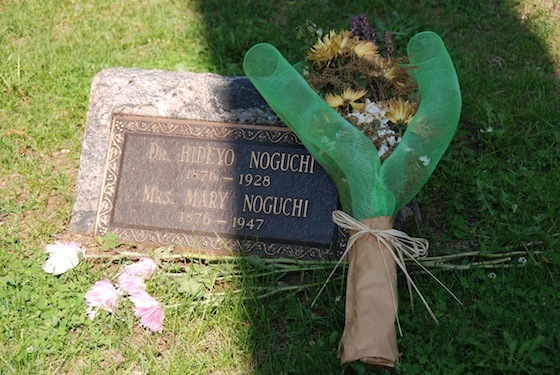 Noguchi was just as decorated in death as he was in life. In 1979 the Japanese government helped fund the Noguchi Memorial Institute of Medical Research at the University of Ghana and established the Hideyo Noguchi Africa Prize in 2006. 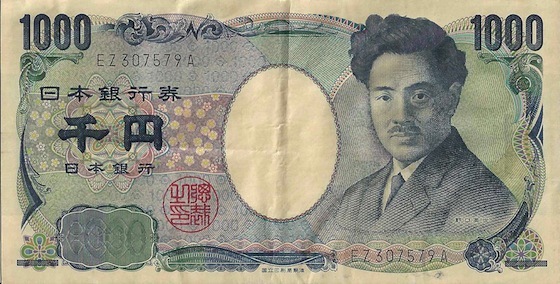 His likeness also appears on Japan’s 1000 yen note, and his story is featured prominently in his home prefecture’s website. Hideyo Noguchi was born in Japan, made a name for himself in the US, and helped make medical strides all over the world. And his final resting place is here in New York.